Explores life along the Dead Sea between 3300 and 2000 BCE, as revealed by excavations at Bab Edh Dhra, site of a sprawling cemetery and a settlement that grew from campsite to village to town, only to be destroyed in 2350 BCE and finally abandoned around 2000. 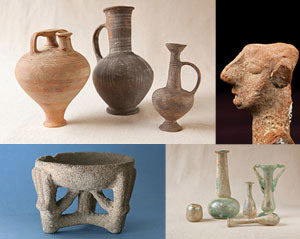 Displays a wide range of artifacts and graphics to explore daily life in what is now Israel, West Bank,and Jordan. 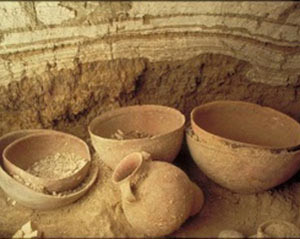 The material culture of this region reflects contact with powerful neighbors in Egypt, Mesopotamia, and the Mediterranean as well as distinctive and evolving local and regional patterns of settlement, social organization, and technology and craft. Examines the practice of writing in Mesopotamia, Egypt and the Canaan-Israel and explains how the alphabet gradually supplanted cuneiform and hieroglyphs. 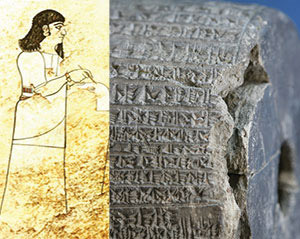 A related exhibit places the Zayit abecedary (discovered at the Seminary's current excavation in 2005) in the early history of the alphabet. 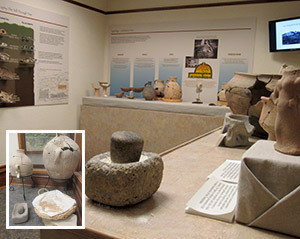 This exhibit profiles a site on the Syrian border in northern Jordan, biblical Gilead, excavated by Paul Lapp in 1962 and 1967. The exhibit focuses on 930 BCE to 730 BCE, a period of conflict between Israel, Aram, and Assyria, when Rumeith was permanently occupied, first as an outpost guarding the fertile Irbid plain and later as a farming village. 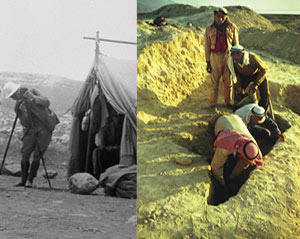 Juxtaposes archival photographs and first person accounts from the 1920s through the present to illuminate changes in archaeological technique and in the political and cultural spheres in which archaeologists work.